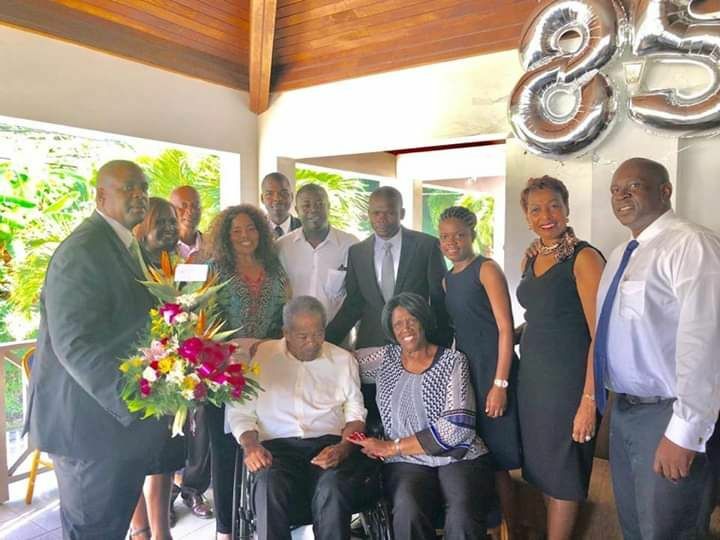 You are here: Virgin Islands News Online » News » Co-father of VI, Hon Ralph T. O’Neal OBE turns 85! 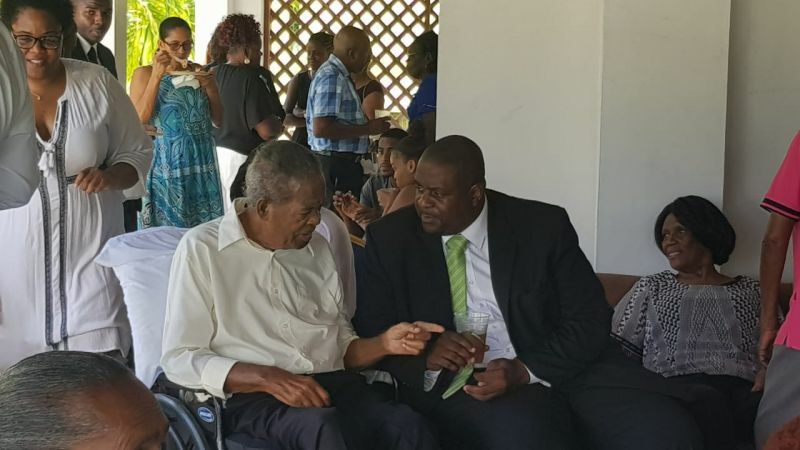 Mr O’Neal—who has been at the side of the late Chief Minister, H. Lavity Stoutt—is credited alongside Mr Stoutt as responsible for the modern day development and prosperity the Territory has enjoyed. To celebrate his 85th birthday, Hon. 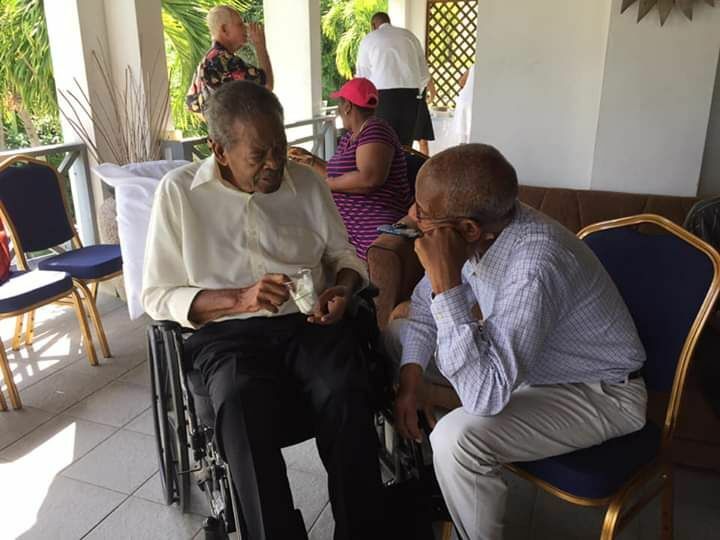 O’Neal’s family hosted an open house at their McNamara home, yesterday, on the main island of Tortola that saw a steady group of visitors including relatives, Rotarians, Politicians, Virgin Gordians and Political Aspirants, paying homage to the well-respected man. 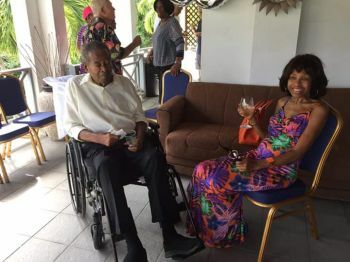 Hon O’Neal, who retired from active politics in 2015 after some 40 years as an elected member [1975-2015], was the first Premier of the British Overseas Territory of the VI and the second Chairman of the Virgin Islands Party (VIP), serving after the party’s first Chairman and Founder H. Lavity Stoutt. 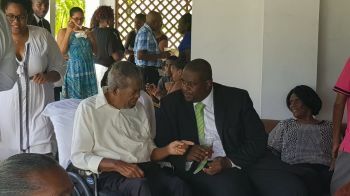 At his home yesterday, the O’Neal family entertained many guests including current Premier Dr the Hon D. Orlando Smith (AL), Leader of the Opposition and Chairman of the VIP, Hon Andrew A. Fahie (R1), fired former Health and Social Development Minister, Hon Ronnie W. Skelton (AL) and First Lady Lorna G. Smith OBE. Today, Sunday, December 16, 2018, Mr O’Neal attended church as part of his birthday celebrations according to his daughter Abby O'Neal. A brief history of the legend! 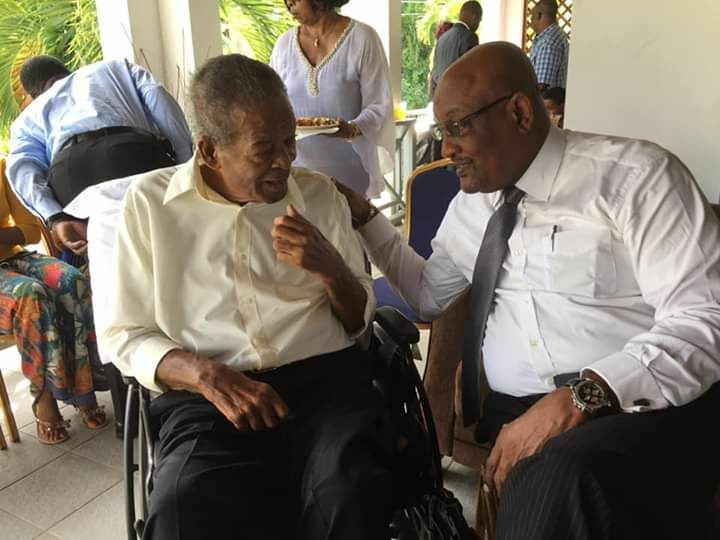 Hon O’Neal has served in every ministry of government except the now Ministry of Communications and Works and became Chief Minister in 1995, after the death of late Chief Minister, H. Lavity Stoutt. Hon O’Neal was directly responsible for well over 90% of all developments on Virgin Gorda and Anegada, including the roadworks, schools and clinics, police stations, post office, water, electricity, government administration complex and docks. Mr O’Neal was also the man who approved many of the private sector developments on both Virgin Gorda and Anegada. One of Hon O’Neal’s lasting legacies include the creation of the London Office—now the BVI House—to secure the VI’s interest in London and the European Union. His VIP administration is also responsible for much of the developments in the VI, from the TB Lettsome International Airport, to the new Queen Elizabeth Bridge, the Commercial Court, the College and the awarding of crown lands to residents for home ownership in Tortola, Virgin Gorda and Anegada. The VIP led Administration built the first Cruise Ship Dock on Wickham’s Cay, introduced the clinic system throughout the VI and constructed the community centres and schools in Anegada, Virgin Gorda and Tortola. Alongside the late Chief Minister Stoutt, it was the VIP with Hon O’Neal at its helm—know now as the ‘Co-Father of the Nation’—also developed the scholarship system whereby students are sent off to college paid for by the state. This system has educated some five generations of Virgin Islanders and it was Mr O’Neal who negotiated the British passport for residents of the Territory. A living local & regional legend! Mr O’Neal has also been the longest serving Member of Parliament in the English speaking Caribbean and has outlasted in elective offices, other great regional political stalwarts like Trinidad and Tobago’s Sir Eric E. Williams- 25 years (1956-1981) and Antigua and Barbuda’s Sir Vere C. Bird Sr - 34 years (1960-1994). Hon O’Neal once told Virgin Islands News Online in an exclusive 2012 interview, that Mr Bird was his political hero. The son of Virgin Gorda soil, Mr O’Neal also outlasted in elective office, St Kitts and Nevis’ Robert L. Bradshaw’s- 32 years (1946-1978), Barbados’ Errol W. Barrow, QC - 36 years (1951-1987), Jamaica’s Michael N. Manley - 25 years in elective office (1967-1992), Guyana’s Linden Forbes S. Burnham- 32 years (1953-1985) and also St Vincent and the Grenadines’ James F. Mitchell - 34 years (1966-2000). Happy Birthday Sir. Thank God for giving you this mild stone, he promise only three scores and ten so give thanks. I can’t help but where is the BOOK? Which should be used in the schools. Yes, you have a wealth of information which should be shared with the people of the British Virgin Islands. Many can learn from you. The people of the BVI would be excited to see a literary piece from you. Happy birthday cuz. "Broke but not as yet hungry. Still breathing fresh air. Wishing you health and strength and God's continued blessings. May God continue to bless you and your family Uncle Ralph..Happy 85th Birthday and many more blessings. Congratulations to Mr. Ralph T O'Neal for reaching this milestone. I pray that you will continue to live and enjoy many more years. You have left a foot print in the territory. I am proud of you. May God continue to bless you. The VIP showed class and respect to their former leader. Andrew has turned out to be a great leader and an even greater person.